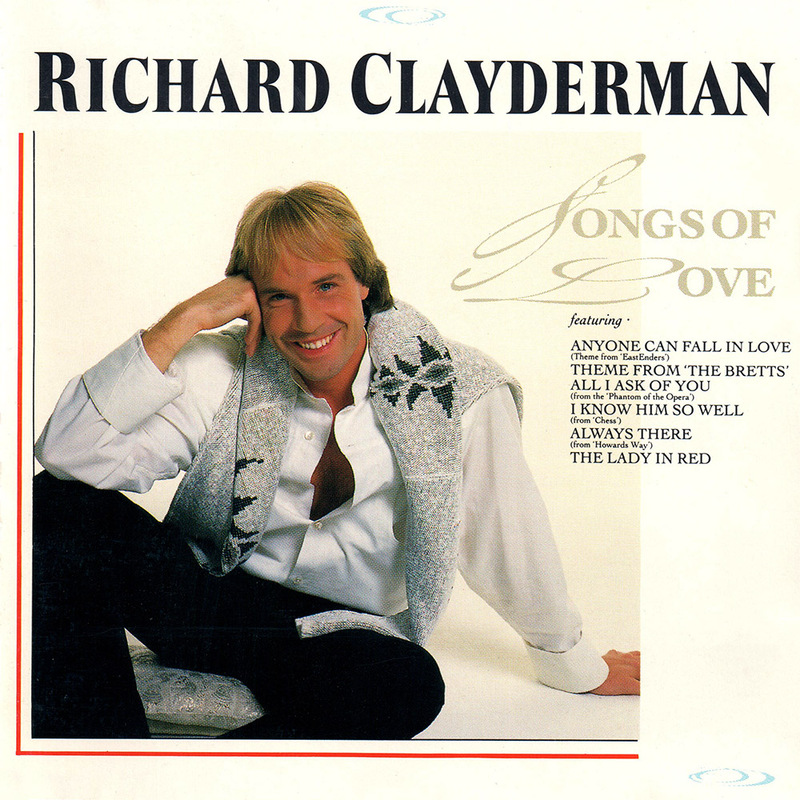 ‘Songs Of Love‘ is a popular Richard Clayderman studio album featuring music from the world of stage, film and television. The album benefits from the inclusion of four tracks from the album ‘Eléana’ (1987), which was released in many countries throughout Europe. ‘Always There / Anyone Can Fall In Love’, ‘Do You Know’, ‘Eléana’, ‘You Are My World’ and ‘I Dreamed A Dream’. Love has always been, and still is, the main musical inspirational theme for composers of all form of music; classical or popular. When I decided to record modern love songs, I was delighted with the wide choice available to me; knowing what to leave off the album was therefore the most difficult of my decisions. Looking first to the stage, I was fortunate enough to be able to draw upon three truly great current musicals, Lloyd Webber’s ‘Phantom Of The Opera’, Rice, Ulvaeus and Andersson’s ‘Chess’ and my fellow countryman Claude-Michele Schonberg’s ‘Les Miserables’. Elton John, Chris de Burgh, The Communards and other recent chart successes allowed me to add rhythm and colour. Eric Carmen’s ‘All By Myself’ – inspired by the third movement from Rachmaninov’s 2nd Piano Concerto – allowed a flavour from the concert platform. BBC Television’s ‘Howard’s Way’ and Central TV’s ‘The Bretts’ provided two of the most beautiful themes, and ‘EastEnders’ for my other TV theme! Finally my mentors, Olivier Toussaint and Paul de Senneville provided new compositions, and I thank them and all the other composers for making this album possible.